Additionally, the height of the 16B can be changed as is required by the gum line of the patient. Its flexibility prevents the regular wear on ball attachments. 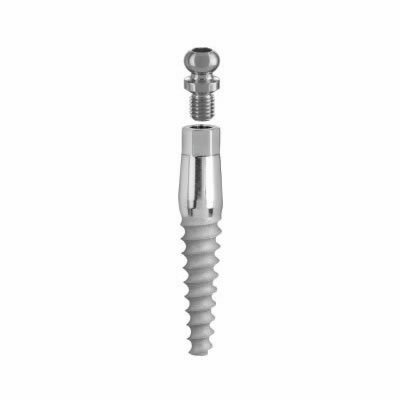 Abutments are available in straight, angled, and a temporary plastic sleeve.